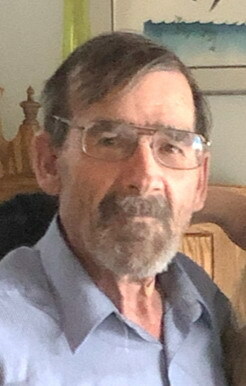 Elwyn passed away peacefully in Fort Qu’Appelle, SK on January 18, 2019 with his family at his side. He was born in Reading, England, emigrated to Canada and resided in Edmonton, moving to Hazenmore in 1956. Elwyn was predeceased by parents Florence and Anthony L’Oste-Brown, numerous aunts, uncles and cousins.Elwyn is survived by his wife of 51 ½ years Pat; children Arla Lunde, Kari Munroe, Douglas L’Oste-Brown; 7 grandchildren; sister Jennifer L’Oste-Brown (children Jeremy, Leif, Rhett). Elwyn was an outdoorsman who loved hunting, fishing, ball, golf, hockey, and outdoor activities. Elwyn and Pat retired from teaching in 1999 when Baffin island became part of Nunavut.